If you are ever going to be a successful currency trader, you must understand and embrace the fact that when trading in money, you need to have a long-term plan and you must have a principle to lead you both in life and in business. Alexander Elder explains in his book ‘ Trading for a Living : Psychology, Trading Tactics, Money Management’ that a successful trade must be based on the 3Ms: Mind, Method and Money and only trading in currencies for a living will ever get to you master all 3. 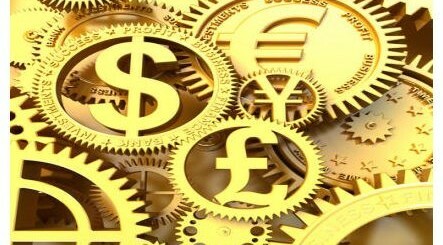 This book is one of the most recommended to young and upcoming forex traders because it is written to help a trader think outside the box and because Alexander says trading is 90 percent an inner game and only 10 percent actual trading, success naturally comes when you build a good strong personal character and establish integrity in all you do. This is undoubtedly one of the best and most comprehensive forex trading books you will ever read, and Alexander Elder, an MD and a professional forex trader, a teacher of forex trading and author of a series of best sellers did a wonderful job writing this easy to read and understand book. 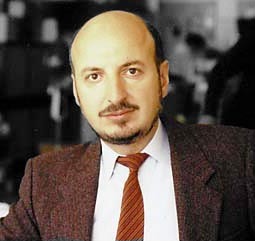 Most tutors, educators, mentors and successful forex traders consider Alexander among the modern classics of the forex trade. His life story is full of fun, adventure, risks and suffering but it sure is one of a kind. He was born in Leningrad, grew up in Estonia, joined medical school at 16 but jumped a Soviet ship when he was working as a ship’s doctor in Africa and sought asylum in the US. He is currently living in New York. His biography lists some of his best achievements in life to include his experience as he worked as a psychiatrist and how he got the unique insight to unravel the psychology of trading, being the originator of the ‘traders’ Camp’ weekly series of classes for aspiring forex traders and being the founder of The Spike Group where members share the best stock picks for prizes. Becoming a cool, collected and calm forex trader. Profiting from the reading behaviors of the market crowd. How you can use a computer to find the best trades. Secrets to developing a winning trading system. Looking for, finding and executing trades with the best chances of success. Understanding and identifying the entry and exit points, setting stops and taking profits from trades. Why there are more buyers than sellers, why buyers are more aggressive and why sellers shy away from demanding premium. 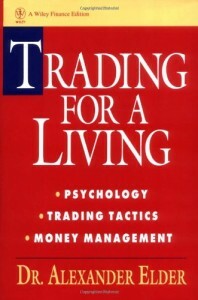 Some reviewers say that the book ‘Trading for a Living: Psychology, Trading Tactics, Money Management’ is an amazing book, but it dwells too much on trading indicators and several other external factors. If this is true, here is another reason to be the best at using indicators and understanding the factors Dr. Elder has in the book.